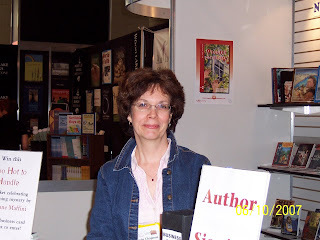 Drop by The Book Stop between 2:00 and 4:00 p.m. on Saturday June 23rd and meet Brenda who will be signing copies of all three books in the Jennifer Bannon series. The Book Stop is located at 5 Jockvale Road in Nepean. Phone (613) 823-7455. 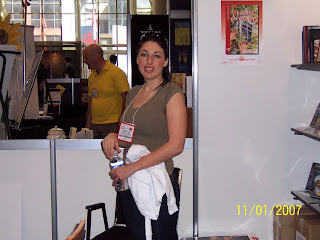 Napoleon & Company attended the BookExpo Canada in Toronto, June 10 and 11. It was a busy booth with nine of our children's and adult authors signing over two days. Photos: Young adult author Brenda Chapman prepares for her signing; Napoleon graphic designer Vasiliki Lenis takes a water break.